with CAN-BUS based diagnostic, such as Vectra-C, Astra-H, Zafira-B. The program lets you to read out and clear fault codes, shows you live data, lets you to perform output test, and supports remote, and key programming. ◆The program supports many control units, like Engine, Automatic Transmission, ABS, Airbag, Engine Cooling module, Instrument Cluster, Electronic Climate Control, Body Control Unit, just to name a few examples. 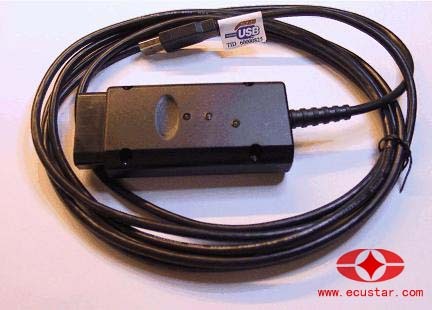 ◆Since Opel uses many pin in the OBD connector, the diagnostic interface works as a multiplexer, and selects the appropriate pin for communication. ◆You can print out, save, or copy the fault codes to any other application. From the fault codes window, you can go directly to the measuring blocks window. ◆The program shows you measuring block information on many control module, you can choose anything from the list on your own. The program is capable of showing 8 measuring block parameter simultaneously. The sample rate is depends mostly on the communication protocol. For example, older system, like Omega-B X 25 DT Engine (ISO-9141-2) can be very slow, during communication, while newer Multec, or Bosch units are faster (using KWP-2000), and the newest CAN based control units are very fast! ◆You can also run output tests on many controllers. ◆You will get a feedback on the state of the activated output. This will helps you to find the failed components more easily. ◆With OP-COM, you can learn keys to immobiliser, and remote keys to the central door locking. You can also reset, and program the following immobiliser related items: ECM, BCM, IPC. ◆The diagnostic inteface is USB port based, so there will be NO COMPATIBILITY ISSUES, with serial to USB converters. The speed of the communication over the USB-BUS is enough to handle the awesome speed of the High-Speed CAN-BUS systems, which is currently 500kbps. This is the main reason, why only the USB port based interface is available for CAN-BUS. ◆Compared to the TECH2, which is the dealers tool (with a 32 MB card+CANdi interface), the price of OP-COM is quite affordable.